Plantar Fasciitis is a common injury in runners, plus a common cause of heel pain. In fact, it’s more common than you’ve probably imagined. If you are reading this, you have probably experienced a stabbing pain in the bottom of your foot, just around your heel. Not only is it painful but it can also be an annoyance when shopping for the best running shoes for plantar fasciitis. What is plantar fasciitis and why is it common in runners? Running in shoes with little to no support. 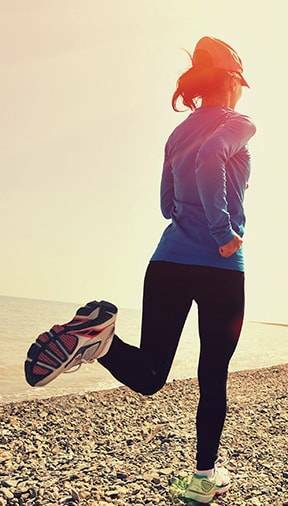 Click here to find out when is the best time to retire you running shoes. If you suffer from foot pain, heel pain, arch pain, knee pain, and back pain, due to plantar fasciitis; we recommend you shop our selection for best running shoes for plantar fasciitis. Below are our top shoes for plantar fasciitis. 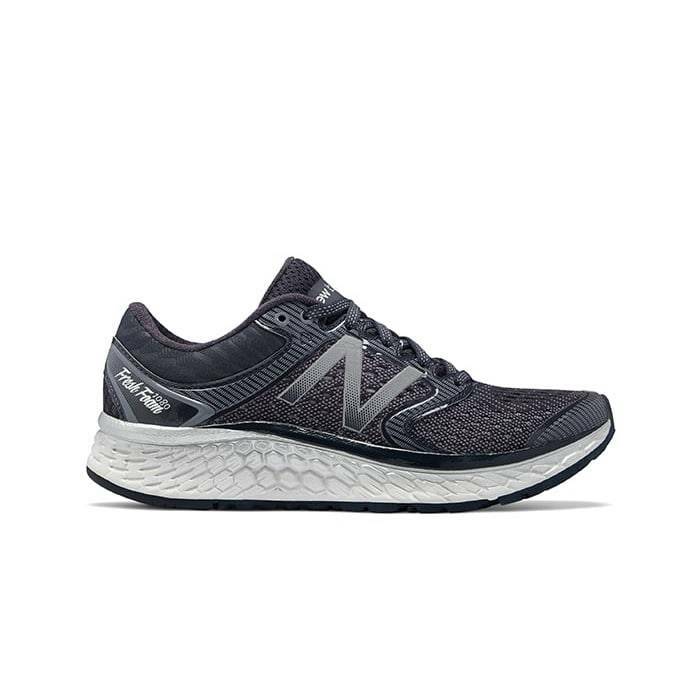 These New Balance 9904 sneakers are perfect for comfort and stability, making them one of the best athletic shoes for plantar fasciitis. They provide a great cushion, arch support, and heel support. 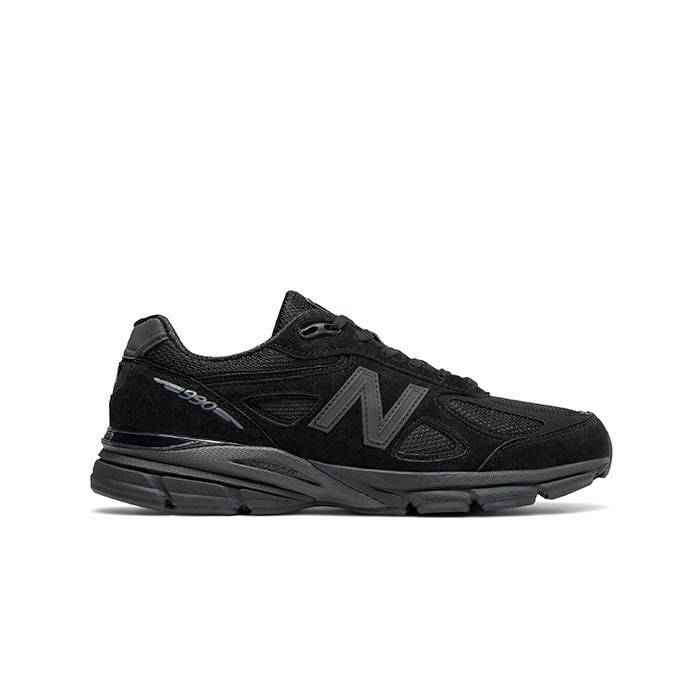 Click here to shop all New Balance 990 shoes. If you are experiencing pain and soreness in your feet, knees and lower back, the New Balance 928 shoes can help you. These shoes are great for over-pronation and overall support. Click here to shop all New Balance 928 shoes. Brooks Beast and Ariel are similar shoes, the only difference is the Beast is a men’s shoe and the Ariel is a women’s shoe. Both the Beast and Ariel are top choices among all pronation control shoes. They provide top-of-the-line motion control, allowing excellent performance for heavy-to-severe over-pronation. Click here to shop all Brooks Beast shoes. Click here to shop all Brooks Ariel shoes. 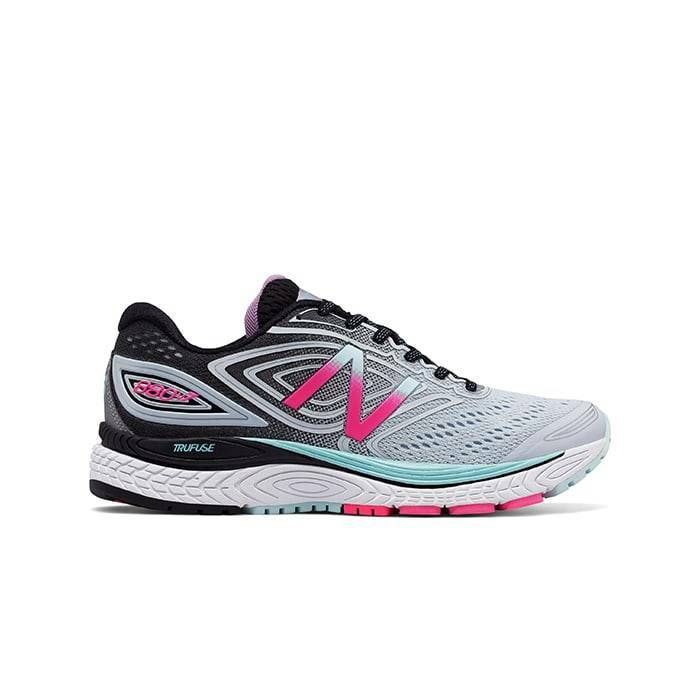 This New Balance 1080 shoe is great for runners with medium arches. 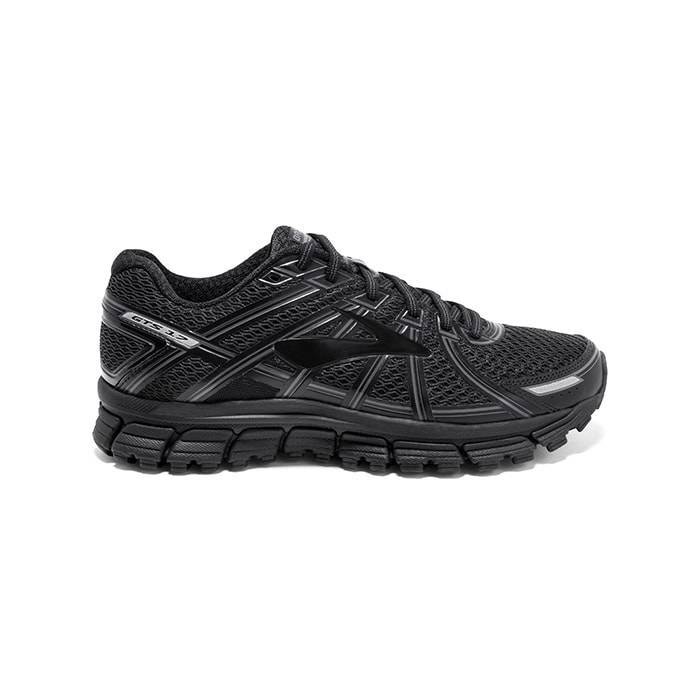 It is very smooth and delivers a great cushioned experience in every run. The arch support is decent and supportive, while providing reliable traction. Click here to shop all New Balance 1080 shoes. The Brooks Dyad shoes offer a smooth gait in a less block-like feel, while offering the support you need. They are great for runners looking for a little extra support in a neutral platform. In addition, it’s heel crash pad absorbs shock to ensure smoother transitions. 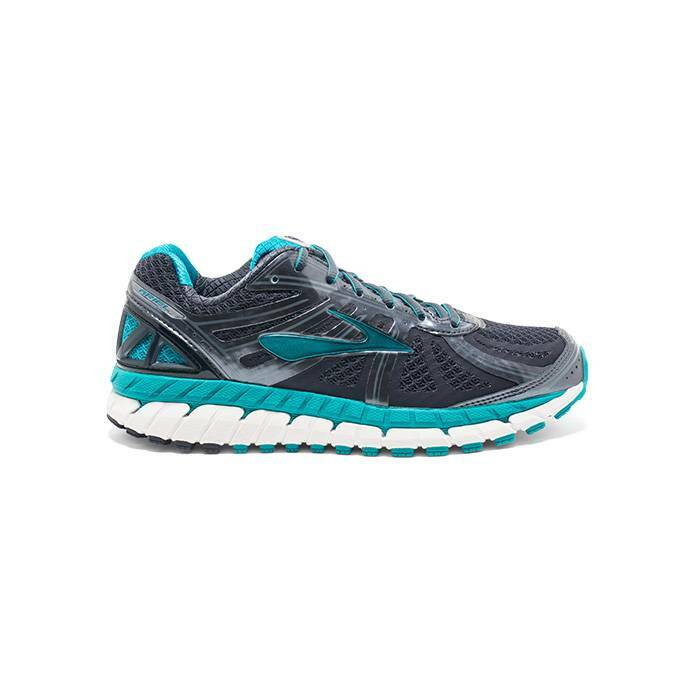 Click here to shop all Brooks Dyad shoes. 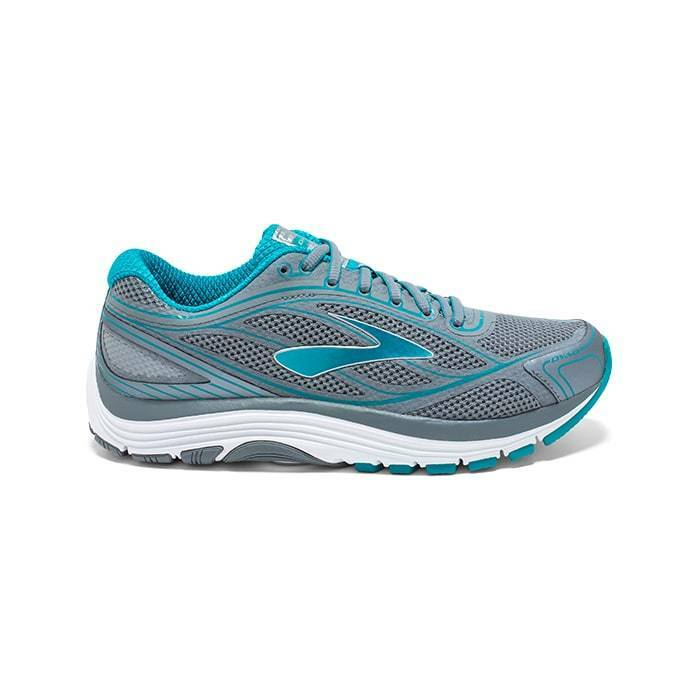 The Brooks Transcend offers cloud-like cushioning and a supportive platform. This shoe offers a rounded heel, which promotes better alignment and helps minimize stress on the joints. 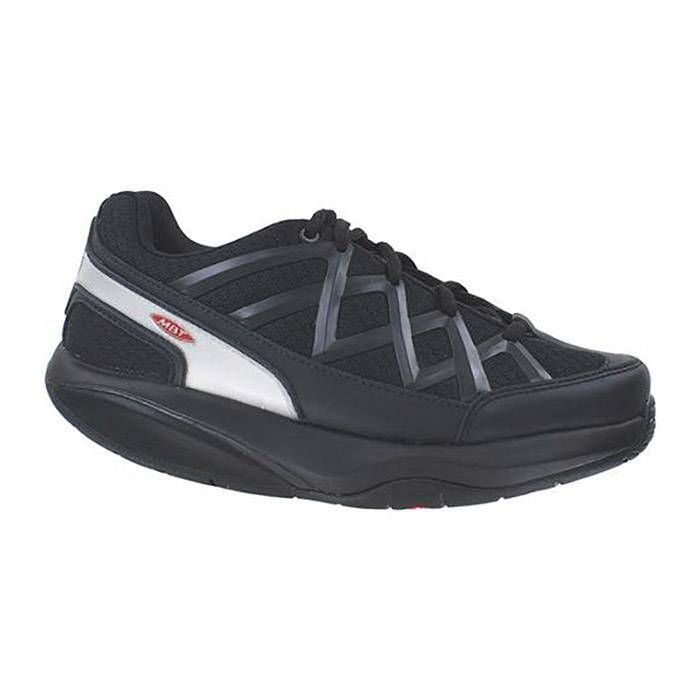 It’s a good stability shoe and a nice choice for over-pronators. 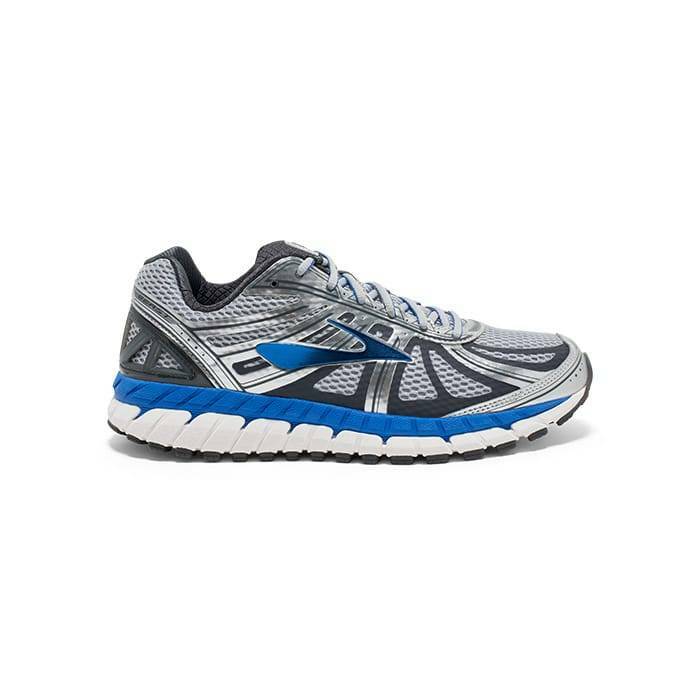 Click here to shop all Brooks Transcend shoes. The New Balance 880 offers the stability you need from a running shoe. This shoe combines posted support with dual cushioning technologies for stability that keeps you going strong however long you go. 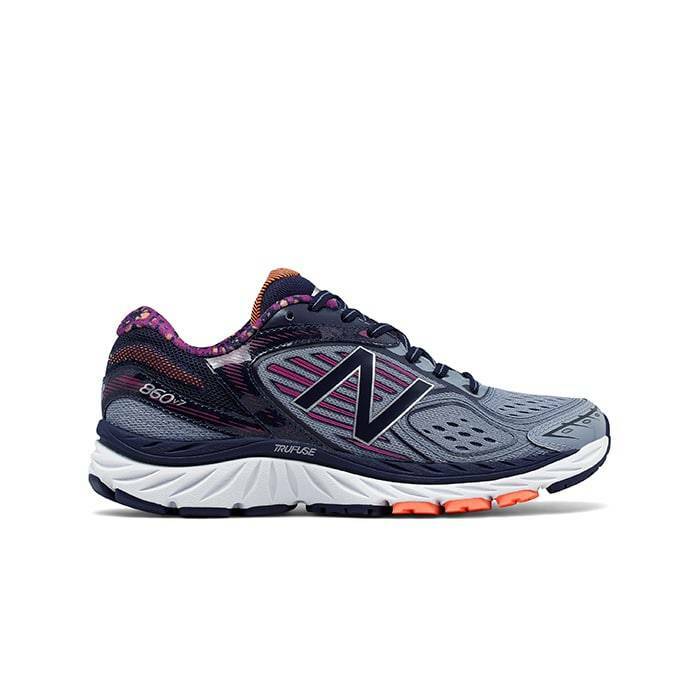 Click here to shop all New Balance 880 shoes. The new 860 is a nice upgrade to one of New Balance’s best-loved stability running shoes. This shoe gives you a smooth support, a secure mid-foot wrap, and a streamlined look. Get all of New Balance’s new TRUFUSE cushioning system on your next run. 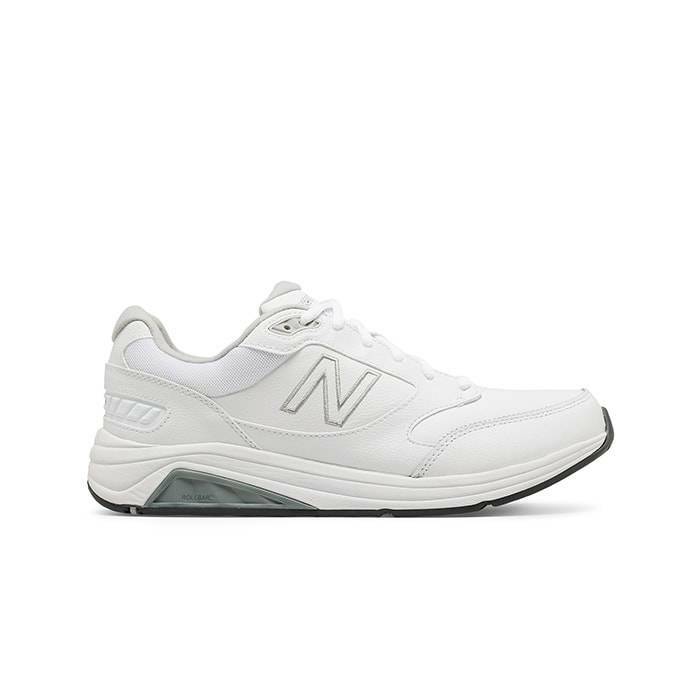 Click here to shop all New Balance 860 shoes. These Adrenaline GTS shoes are an excellent choice for plantar fasciitis for their perfect balance, reliable heel support, and extra cushioning. They are also great for overpronators; with its midsole dynamically adapting to every step thanks to Brooks’ DNA midsole. The midsole’s diagonal roller and full-length segmented crash pad helps promote long controlled runs with reduced shock on muscles and joints. 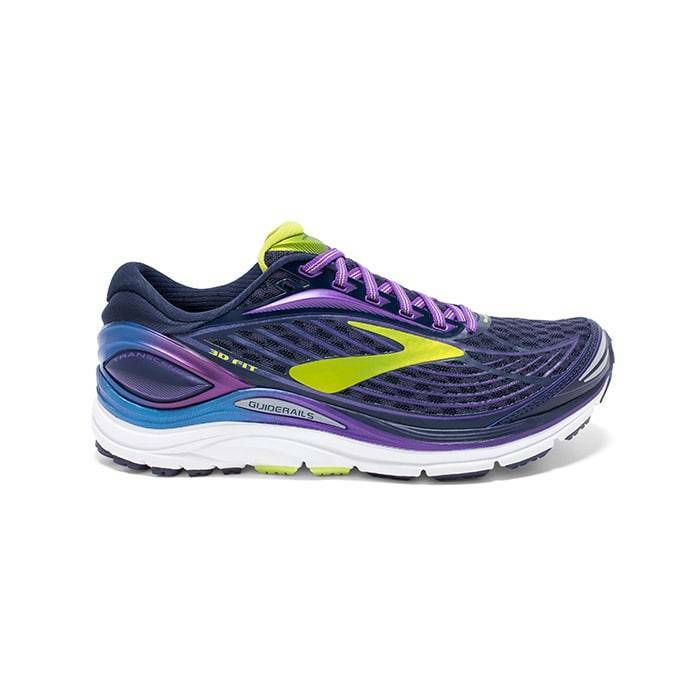 Click here to shop all Brooks Adrenaline shoes. The MBT Sport shoes are great for plantar fasciitis as they reduce pressure in the foot arches where the plantar fascia lies. These shoes help reduce joint pain since they create a rolling motion from the heel to toe bypassing the stretch on the plantar fascia. Click here to shop all MBT shoes. Come into any one of our stores located in Costa Mesa, Anaheim Hills, Rancho Cucamonga, Riverside, San Dimas, Long Beach, Temecula, La Quinta and Palm Desert! Visit us today so you can try on a pair of best flip flops for plantar fasciitis! At Lucky Feet Shoes, we carry many plantar fasciitis shoes: sandals, heels, walking shoes, running shoes, casual sneakers, clogs, wedges, flats, booties, and boots; in order to provide you with a large selection of comfort shoes for plantar fasciitis. Come and visit us today! If you are looking for Best Running Shoes for plantar fasciitis in Anaheim, Anaheim Hills, Yorba Linda, Brea, Orange, Placentia, Costa Mesa, Santa Ana, Fullerton, Irvine, Villa Park or Tustin; then visit our store in Anaheim Hills or Costa Mesa. If you are looking for Best Running Shoes for plantar fasciitis in San Dimas, Long Beach, Cerritos, Glendora, Pomona, Covina, West Covina, La Verne, Azusa, Diamond Bar or Claremont; then visit our store in San Dimas or Long Beach for your footwear needs. If you are looking for Best Running Shoes for plantar fasciitis in Rancho Cucamonga, Ontario, Upland, Fontana, Rialto, Chino, Chino Hills, Mira Loma, Eastvale, Colton or San Bernardino; then visit our store in Rancho Cucamonga for your footwear needs. If you are looking for Best Running Shoes for plantar fasciitis in Riverside, Moreno Valley, Corona, Rubidoux, Loma Linda, Grand Terrace, Redlands or Norco; then visit our store in Riverside for your footwear needs. If you are looking for Best Running Shoes for plantar fasciitis in the Temecula Valley, Murrieta, Fallbrook, Lake Elsinore, Wildomar, Hemet, San Jacinto, Pala, Sun City, Menifee, Canyon Lake, Perris, Bonsall or Anza; then visit our store in Temecula for your footwear needs. If you are looking for Best Running Shoes for plantar fasciitis in Indio, Coachella, Thermal, Vista Santa Rosa, Valerie; then visit our store in La Quinta for your footwear needs. If you are looking for Best Running Shoes for plantar fasciitis in Cathedral City, Thousand Palms, Palm Desert, Palm Springs, Desert Springs, Rancho Mirage or Bermuda Dunes; then visit our store in Palm Desert for your footwear needs.